It isn't every day that you arrive somewhere to drive an all-electric city car, only to be greeted by the inimitable sound of a BTCC engine revving to its redline. But that's exactly what you get at Swindon Powertrain, yet another example of a small British engineering firm that has established an enviable reputation thanks to the quality of its (often uncredited) work on the much-vaunted projects of larger OEMs. Certainly you'll have heard of a good number of those projects concealed beneath an NDA. They include supercars that you'd know by name - as well as smaller, more specialist projects which you may not. Arguably the firm's greatest success, however, resides entirely in the public domain, even while it still flies largely under the radar. Located on an outer-Swindon industrial estate amongst a haulage firm, Sikh temple, and Jolly Roger Adventure play centre, the company's unassuming facility is packed - almost literally in some cases - to the rafters with cutting-edge tech. It's here that the engines for over half of the BTCC grid are designed, manufactured and tuned before being shipped out to teams. It's thanks to these TOCA units, which are engineered to last for an entire season's worth of racing, that teams at both ends of the grid are able to keep entry into the championship affordable. No matter a team's ability or budget, the option of a turnkey crate engine from Swindon has ensured that the grid remains full and the action bumper to bumper. It isn't only generic engines which the company produces, either, with the BTCC Subaru Levorg's flat-four also developed and manufactured here (and the source of the soundtrack upon entry). Having been shown through the CAD, CAM, assembly and testing areas by Managing Director Raphael Caillé, we eventually arrive at a cavernous space towards the back of the facility. 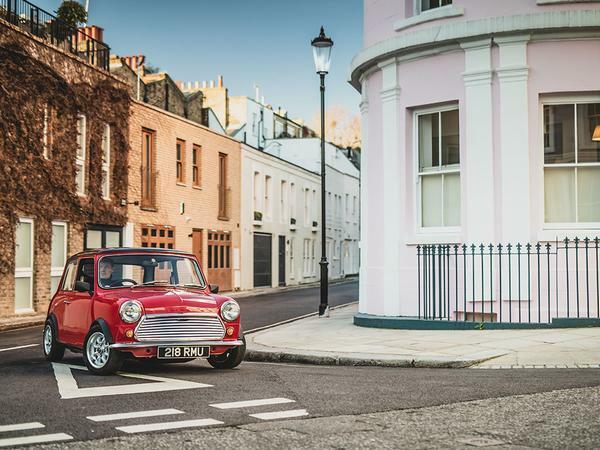 It's high ceiling and whitewashed walls only serve to make the tiny, bright red classic Mini parked within look even, well, Mini-er. But appearances can be deceptive, and all is not necessarily as it seems. 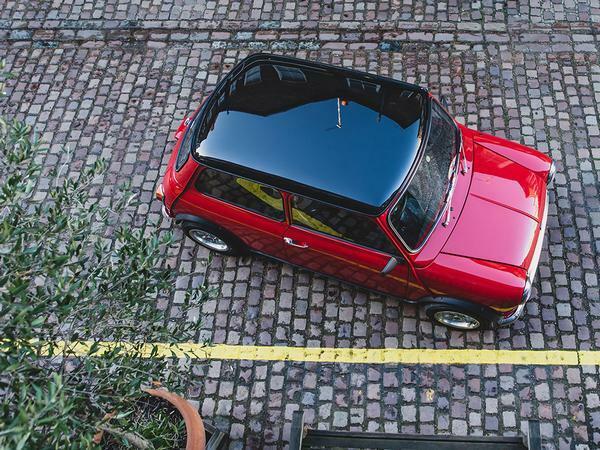 First things first: this is not a Mini. 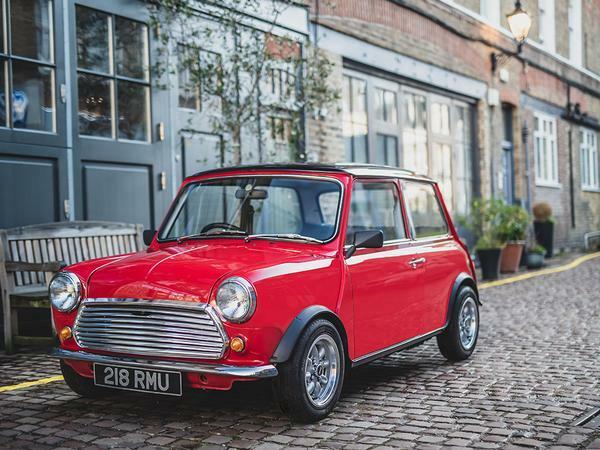 Thanks to the perils of intellectual property, it's a Mini which has been electrified to become a Swind E Classic. To that end it has been completely stripped of its original engine and running gear, the fully-restored body now encapsulating a bespoke electric powertrain to provide drive to the front wheels. 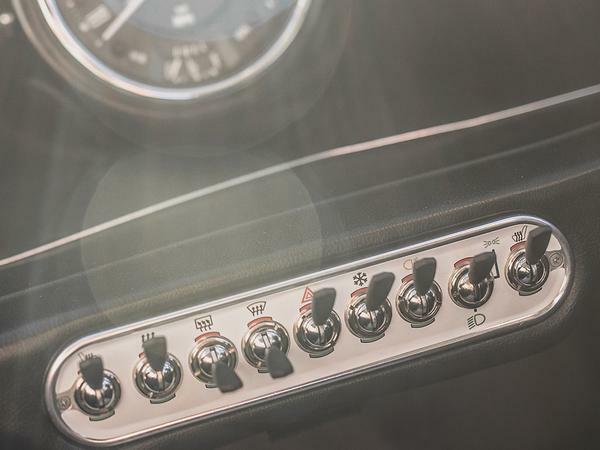 On this subject, Raphael is clear; while he doesn't see the merit in converting the majority of classics to EVs - cars which draw at least part of their appeal from a sonorous straight-six or burbling V8 - the prospect of an electrified Mini just makes too much sense to ignore. It doesn't take long to come around to his way of thinking. The new 80kW motor puts out the equivalent of around 110hp, while the lithium-ion batteries are good for a 125-mile range. Their packaging lowers the centre of gravity by over 50mm, while also improving weight distribution to a 57/43 split versus the previous 68/32. Unsurprisingly there is a 75kg weight penalty for the addition of all that tech, but the car still comes in at a featherweight 720kg. 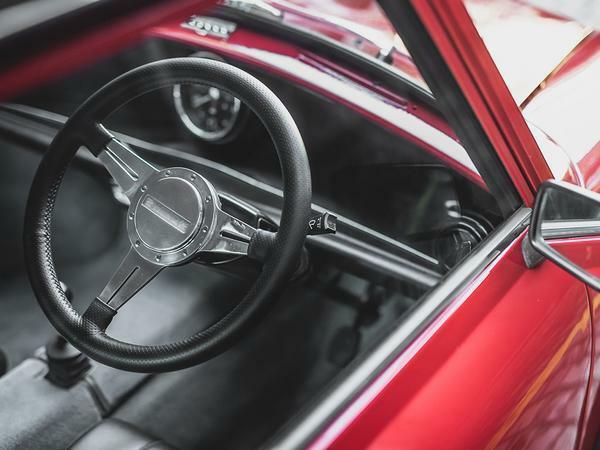 With no need for a fuel tank boot space is increased to 200 litres, but aside from that and the new three-option gear lever, the interior is virtually indistinguishable from that of a tastefully restored original. To drive, the E Classic turns out to be an absolute blast. 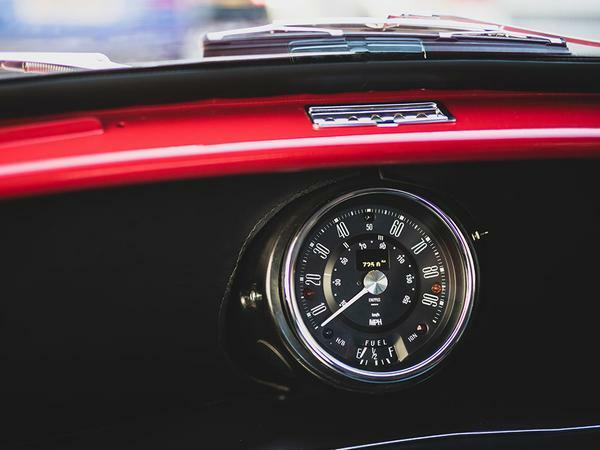 Its 110hp output is 40hp more than an original Mini Cooper S and, while its 0-60 time of 9.2 seconds may sound sluggish in this day and age, it certainly doesn't feel it. It's also over four seconds quicker than that original S could manage, statistics which set the tone for the rest of our short go. The E Classic still feels like an original Mini, but one made better - i.e. more practical and nicer to drive - by its 21st century enhancements. Not that it is intended as a solution to the problems of mass transit in inner cities, and nor is it a virtue-signalling attempt to cure our current addiction to fossil fuels. No, the creators of the Swind E Classic fully recognise that it is a niche product and, at £79,000, an expensive one at that. What it does do though, is allow the company to hone its craft in an area of automotive engineering which is set to become predominant in the coming years. 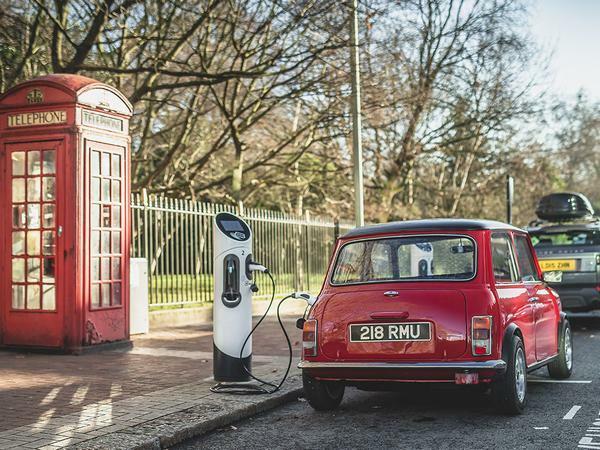 It also creates a fleet of future-proofed electrified Minis, equipped to carry the car's inimitable charm into a future where combustion engines can't. Perhaps most importantly, however, it enables Swindon Powertrain to finally enjoy a little of limelight that its exploits so richly deserve. The Swind E Classic is a well thought-out, well designed and well manufactured machine which showcases the ability and dedication of its creators no less well than the high-performing, long-lasting racing engines upon which they made their name. We expect to be seeing a lot more from the firm in the future, hopefully with their name front and centre - where it belongs. Lovely showcase for what a full EV can be. Now someone go and produce a similar product for the mass market at a sensible price! That 0-60 time Mini really does seem slow given the weight must be on the front wheels. Price would be lower if it wasn't effectively bespoke and I think, for the money, it's actually quite reasonable given the fact it's being built here. On another completely unrelated note, what great photography! Low volume handmade stuff costs, I agree its not silly money for what is something quite amazing.